Summer is almost here and the excitement is palpable. Soon, we'll be toasting to summer Fridays, planning weekend escapes to Montauk and Ojai, and taking every opportunity to make the most of the stellar weather. 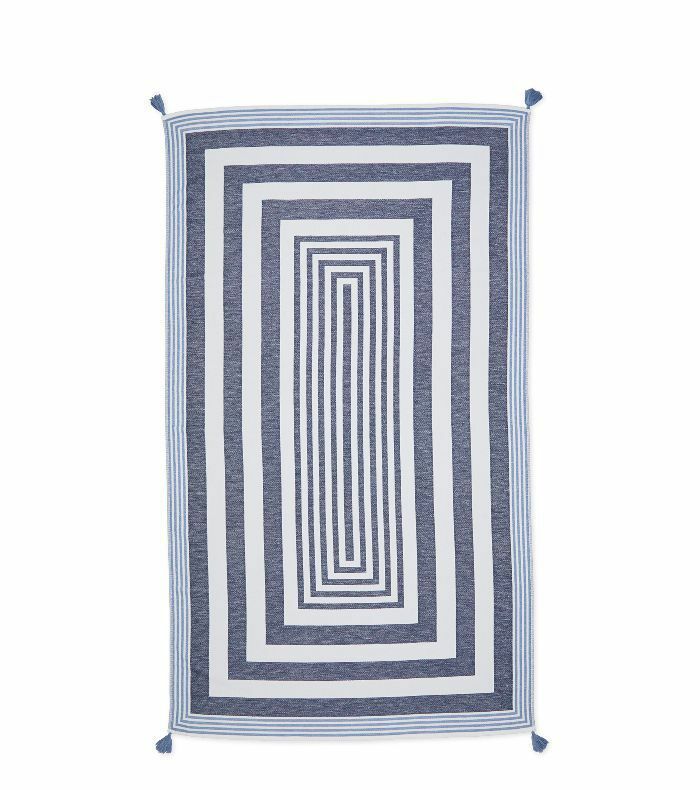 If you're beach-, pool-, picnic-, or vacation-bound this summer, now's the time invest in a statement beach towel. Ahead of the long weekend, we scoured the market to find the very best beach towels to toss in your market bag or luggage. From pastel stripe Turkish towels to playful slogan buys, these are the top picks our editors are poised to add to their cart. 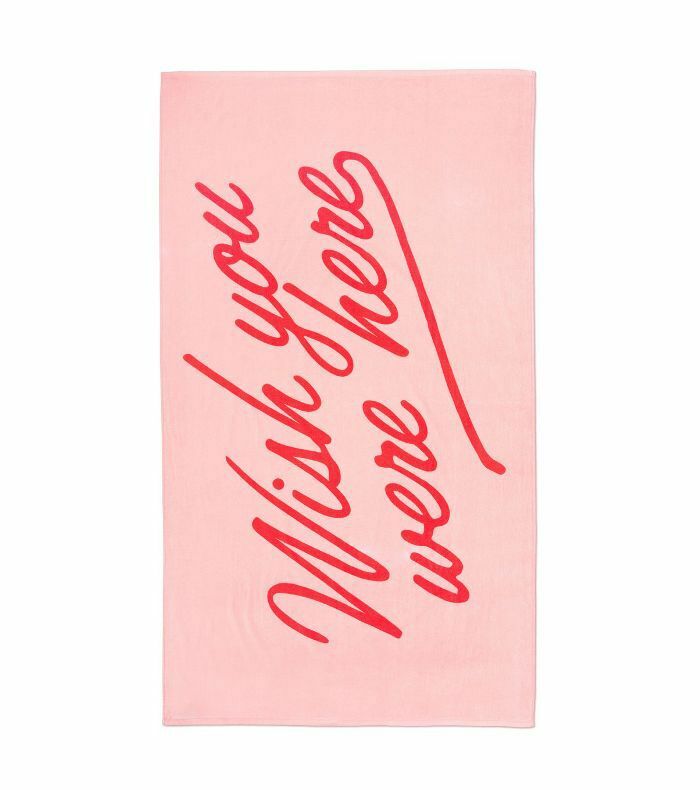 Shop these 16 chic beach towels to take you from picnic to pool and beyond this summer. Can't decide on a color? 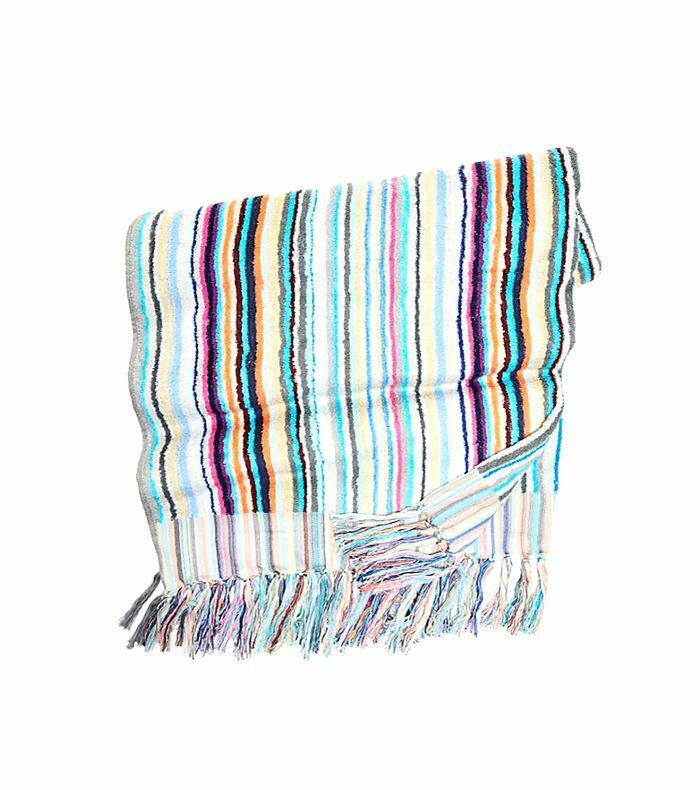 This rainbow-stripe beach towel from Free People will go with all your bikinis. 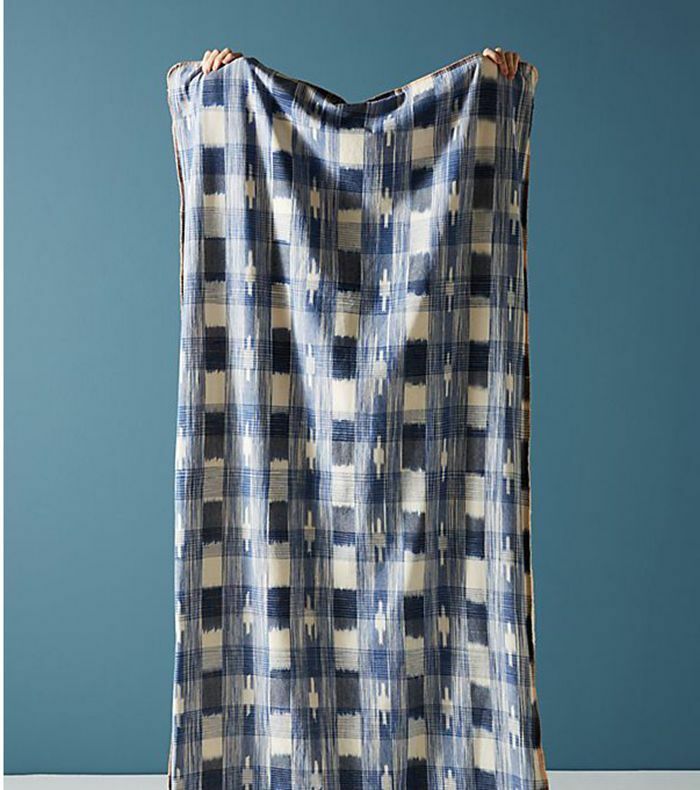 Cult direct-to-consumer bedding brand Brooklinen has released its very first beach towel, just in time for summer. Playful and bright, this Ban.Do beach towel begs to be Instagrammed. 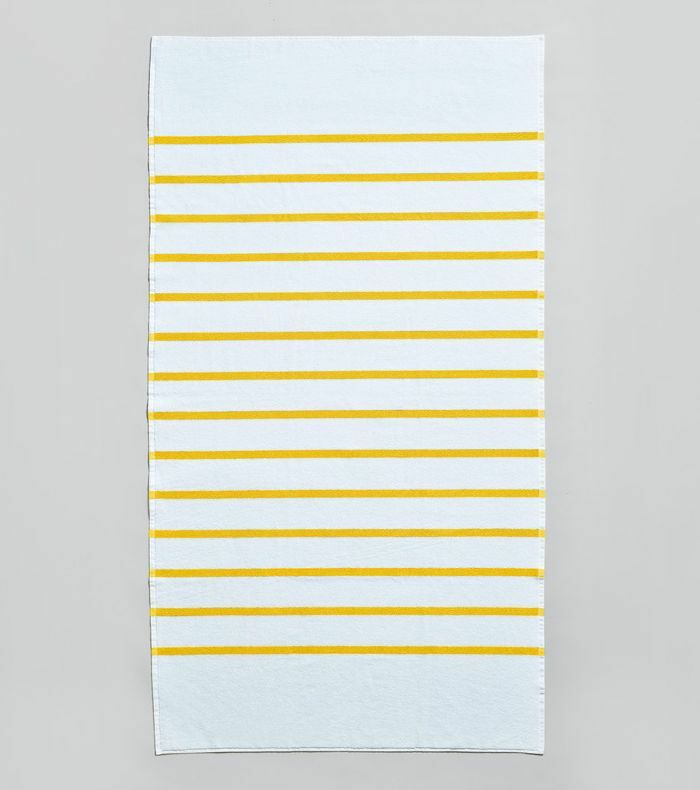 Classic and understated, this chic towel comes in five bold colors. 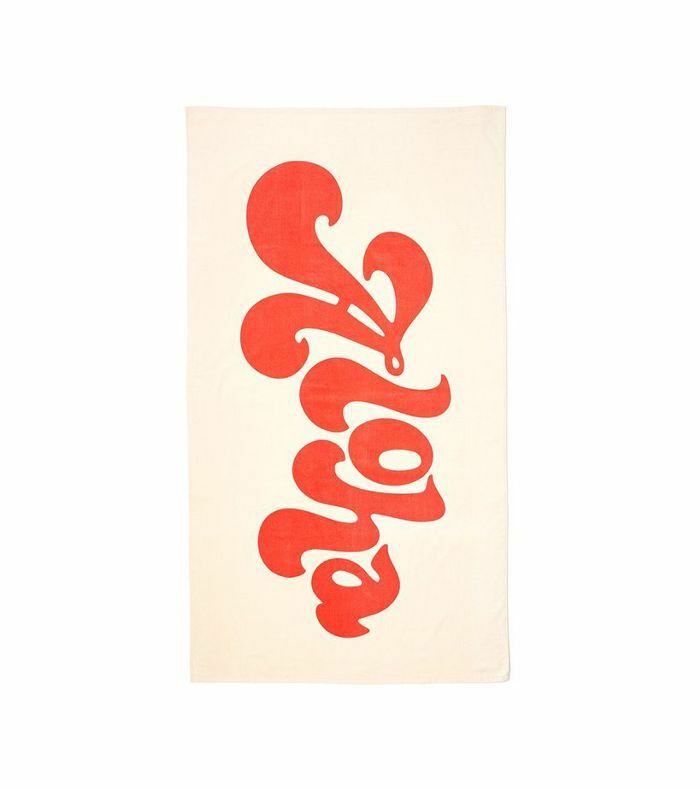 You don't need a trip to Hawaii to want to buy this cool slogan towel. Australian towel brand Mayde is one of our favorites. Its products are soft, super absorbent, and come in an array of bright colors. 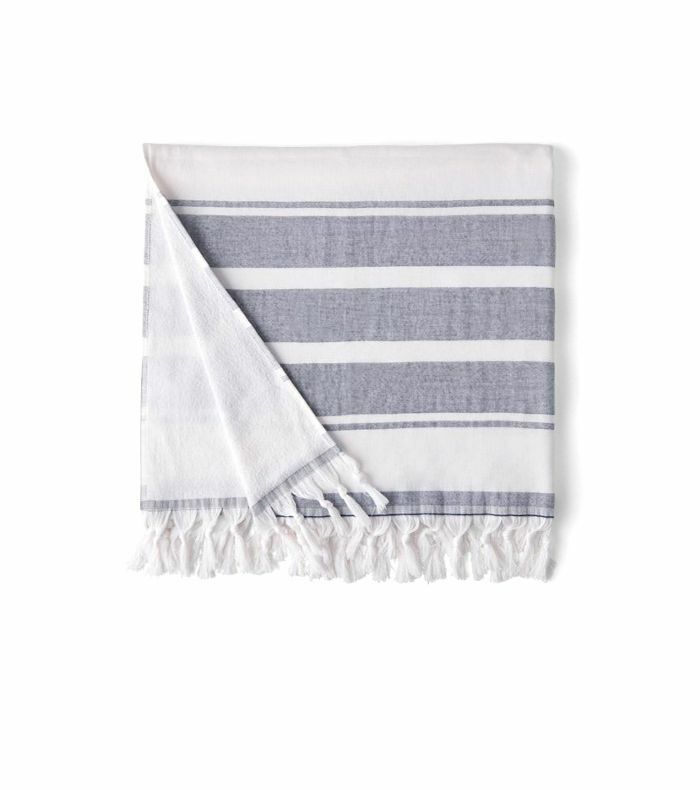 Channel Hamptons and Nantucket vibes with this Turkish cotton towel from Serena & Lily. 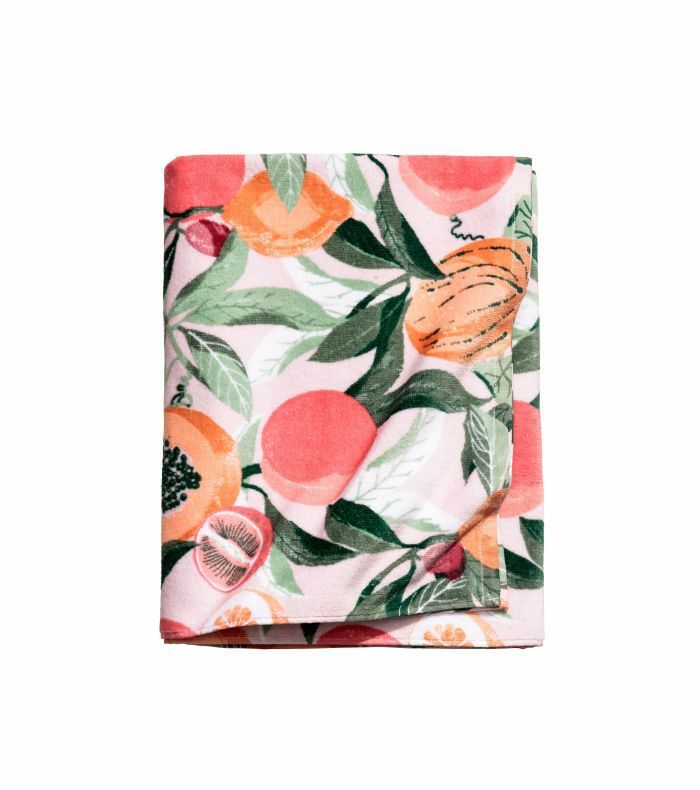 This peach and papaya towel adds a tropical touch to your beach look. Prefer muted tones over candy-bright colors? 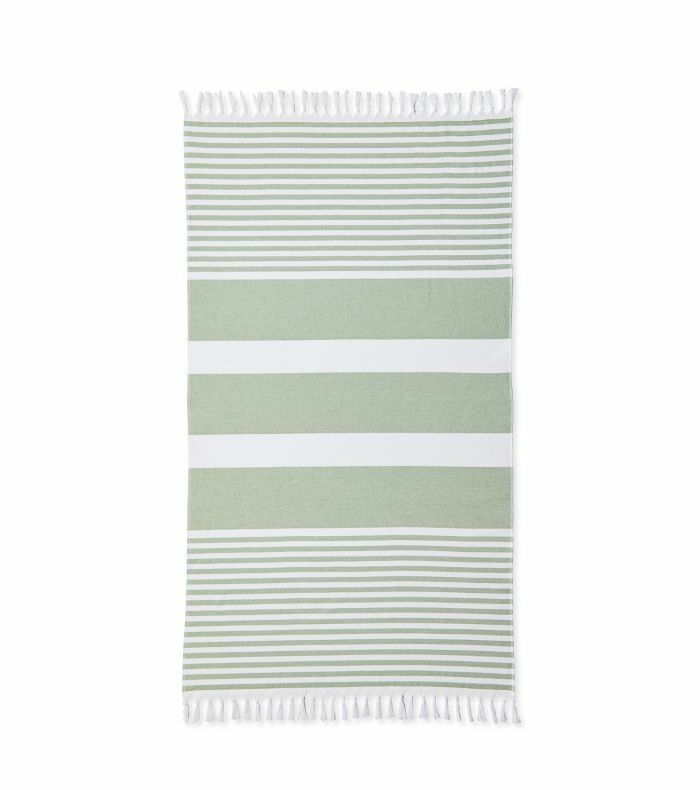 This sage towel pairs well with a white swimsuit. 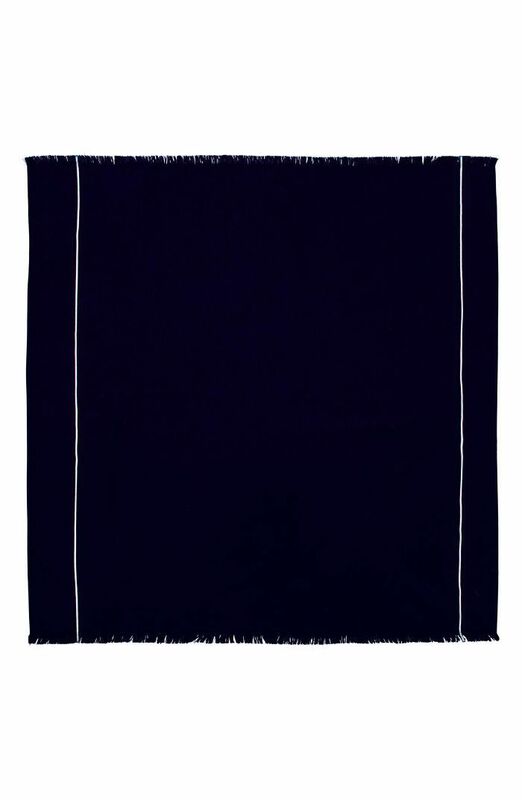 Channel your inner minimalist with this densely woven beach towel in jet black. 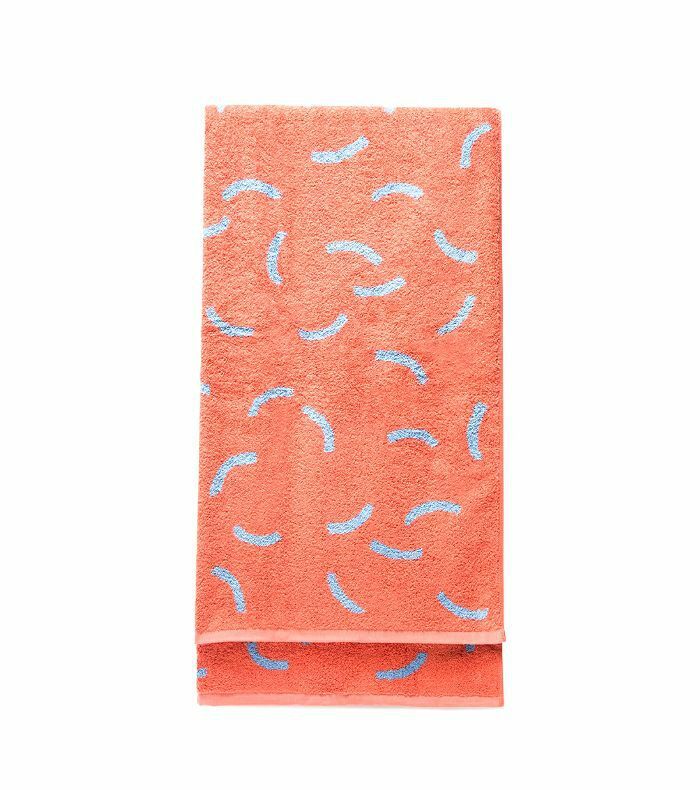 This handy reversible beach towel is coral on one side and powder blue on the other. 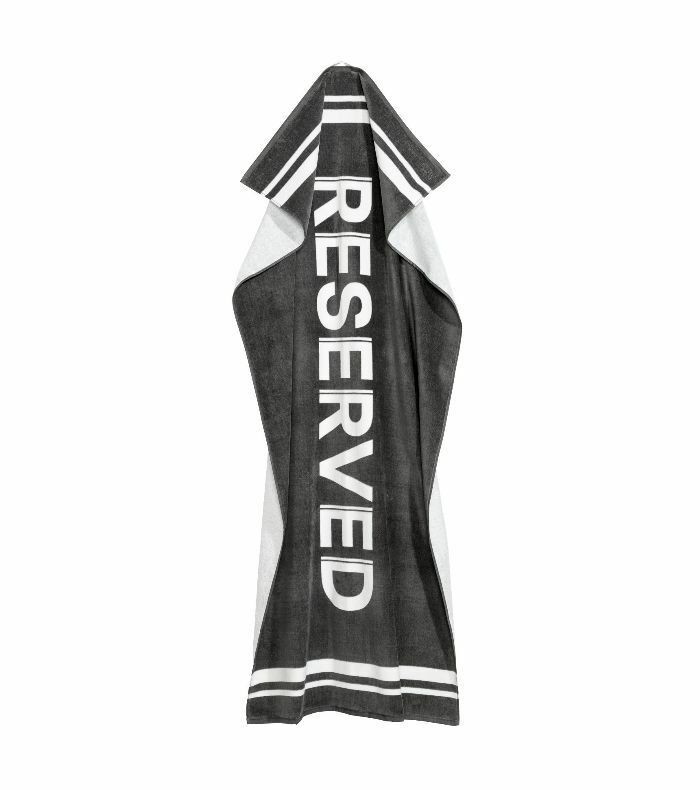 Stake out your spot on the sand with this "reserved" beach towel. 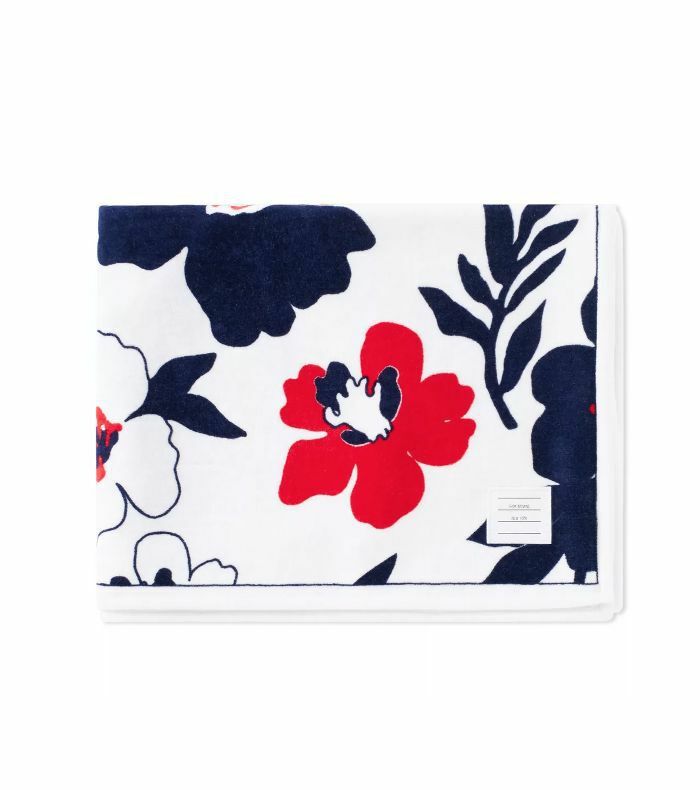 This navy, white, and red floral towel is on our associate editor's summer wish list. 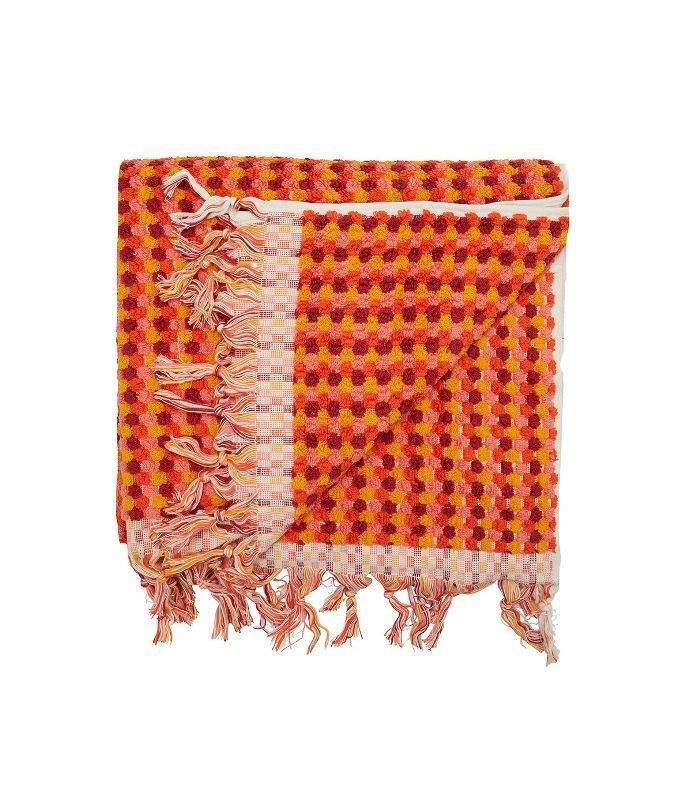 This oversize towel has woven fabric on one side and plush terry cloth on the other. 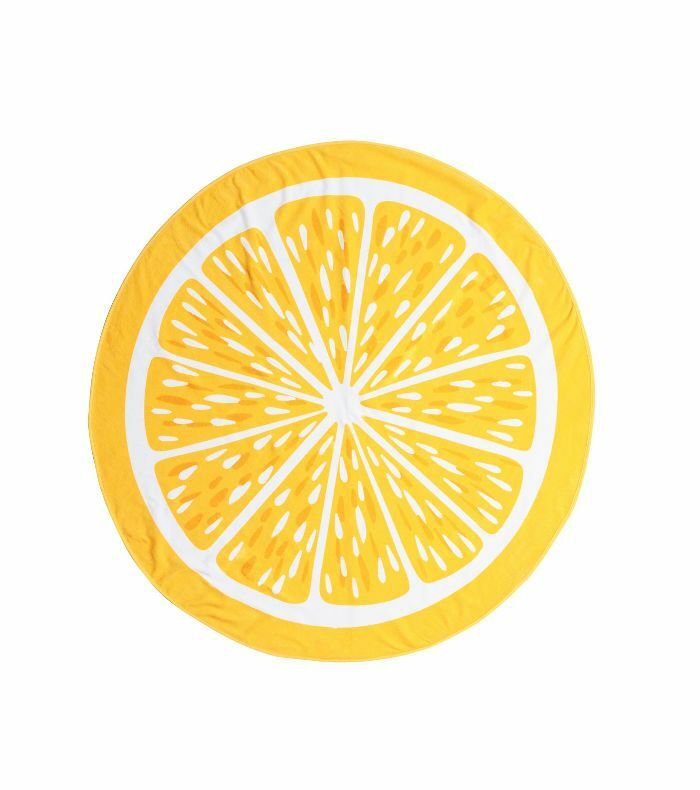 Embrace the round towel trend with this vibrant citrus option from H&M Home. 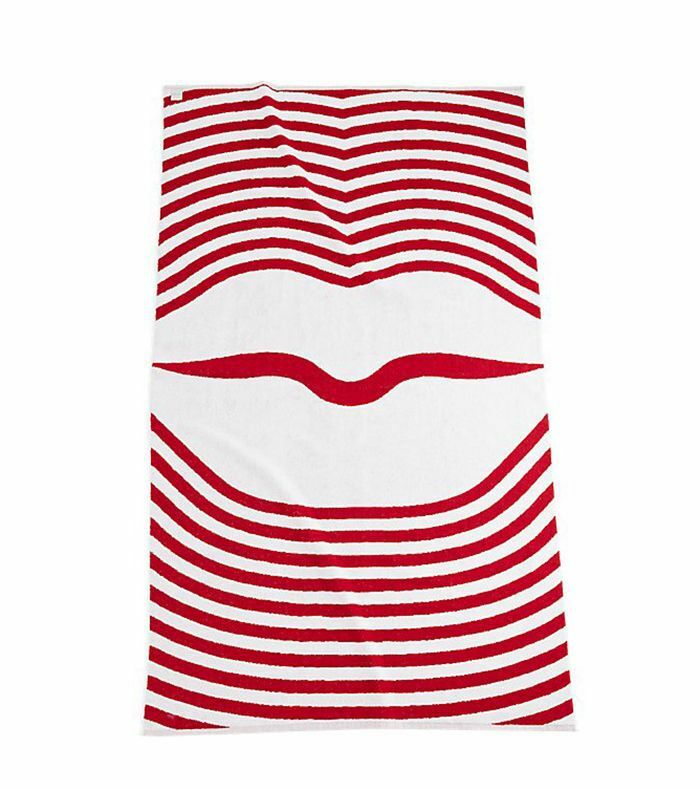 Find your spot on a crowded beach with this bold red-and-white towel from the Fred Segel x CB2 collection. 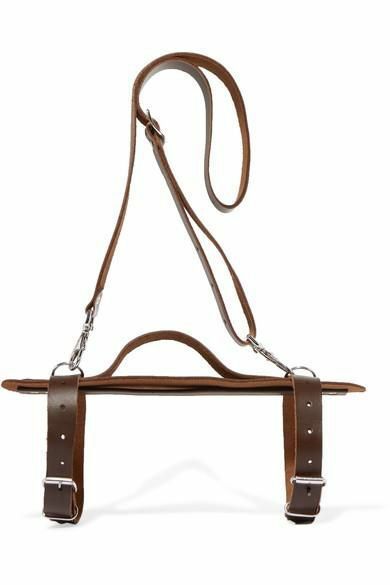 Upgrade any towel with this chic leather carrier. Yet to plan your summer vacation? Browse these11 drop-dead gorgeous family rentals before they book out.